Harvey Logan was born in Rowan County, Kentucky, in 1875. He was brought up by an aunt in Dobson, Missouri and after leaving home moved to Wyoming. He worked as a rancher until he killed Pike Landusky during a drunken brawl. Logan fled and eventually joined the outlaw gang led by George Curry. He carried out several robberies until moving to the Robbers' Roost in Utah and joined what became known as the Wild Bunch. 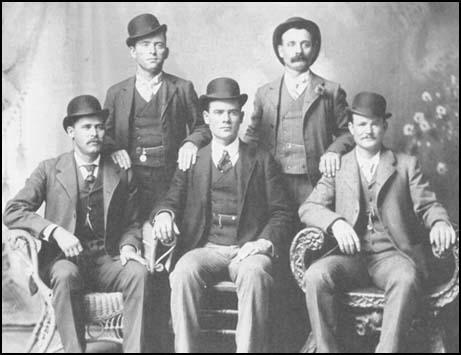 As well as the leader, Butch Cassidy, the gang included Sundance Kid, Ben Kilpatrick, William Carver, George Curry, Laura Bullion, Elza Lay and Bob Meeks. The name Wild Bunch was misleading as Butch Cassidy always tried to avoid his gang hurting people during robberies. His gang were also ordered to shoot at the horses, rather than the riders, when being pursued by posses. Cassidy always proudly boasted that he had never killed a man. The name actually came from the boisterous way they spent their money after a successful robbery. On 2nd June, 1899, Cassidy, Curry, Logan and Lay took part in the highly successful Union Pacific train holdup at Wilcox, Wyoming. After stealing $30,000 the gang fled to New Mexico. On 27th May, 1900, Logan Murdered Sheriff JessTyler in Utah in retaliation for the killing of George Curry. On 29th August, 1900, Butch Cassidy, with the Sundance Kid, Logan and two unidentified gang members, held up the Union Pacific train at Tipton, Wyoming. This was followed by a raid on the First National Bank of Winnemucca, Nevada (19th September, 1900) that netted $32,640. The following year the gang obtained $65,000 from the Great Northern train near Wagner, Montana. Logan is believed to have murdered Jim Winter in retaliation for the killing of his brother, Johnny Logan. He escaped to Knoxville, Tennessee, where he was captured on 15th December, 1901. He escaped from Knoxville jail on 27th June, 1903. 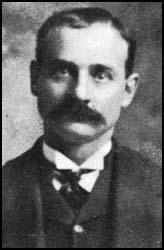 Harvey Logan was killed near Glenwood Springs on 9th July, 1903.